The Southwest Companion Pass is one of the best loyalty tiers offered by a major US airline. The award tier allows a Southwest Rapid Rewards member to designate one person as his or her “companion” (changeable up to 3 times). This companion flys “free” (does not include government taxes and security fees) with that member on the same itinerary to any destination, including several international destinations, served by Southwest Airlines. And unlike most frequent flyer tiers, including Southwest’s A-List and A-List Preferred, the Companion Pass can be earned by accumulating 110,000 points in a calendar year in various ways (not just actual flights taken), such as through hotel and car rental partners, online shopping, and loyalty credit card programs, etc. 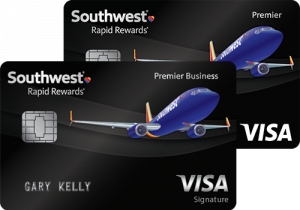 Currently, Chase bank co-brands the Southwest Rapid Rewards credit card and is offering a whopping 60,000 points for the Southwest Rapid Rewards business card ($99 annual fee) after making $3,000 in purchases within 3 months AND 50,000 points for the Southwest Rapid Rewards personal card ($69 for Plus card or $99 for Premier card annual fee) after making $2,000 in purchases within 3 months. This means you can earn the Companion Pass just by getting approved for both cards and making a total of $5,000 in purchases. You might be thinking, “I don’t own a business, so how can I apply for the business card?”. The fact of the matter is if you have any sort of additional income that you earn for any product or service that you provide, you are considered a sole proprietor who has a business. Therefore, you are eligible to apply for business card as well as the personal card. Apply for the business card first and wait until you are approved before applying for the personal card. I applied for both cards at the same time and was not approved for the second card because Chase flagged me as having too many requests for credit at one time. I had to contact the reconsideration line, and the agent resubmitted the application, which was later approved. After receiving your card, make your minimum purchases on both cards as early in the year as possible so you can earn your companion pass for the remainder of the year, as well as the following calendar year. The sooner you meet the requirements, the more chances you will have to use your companion pass. Have you already earned your companion pass? If so, leave a comment below and let us know how many times you have used it and where you have flown. Happy travels!